Are you ready for the big switch to cross-crawl? From the moment you learn to crawl, then walk and run, your body engages in contra-lateral movement pattern – which feels so natural you’ve probably never given it a second thought. When you run, for example, the left arm and right leg move towards each other, while the opposite ones separate on the other side (and vice-versa). Or, imagine yourself in a plank position, with your left arm and right leg stretched out. Since the action is hardwired into our brains from a young age, it plays a key role in functional workouts, helping athletes develop the cardio fitness and strength needed to excel in their sport. But functional training is, of course, also important for anyone who wants to improve their stability and overall health, so they can easily engage in daily activities and reduce their chance of injury. “Cross crawl provides a unique alternative to the standard climbing motion where the arms and legs move in unison on both sides of the body. It has been demonstrated that this natural CC pattern will more effectively strengthen para-spinal musculature. “As you climb vertical with the VersaClimber, this forces the body to use your large anti-gravity muscles – while pushing and pulling using your core stabilisers to hold you up in a non-impact environment. “The gentle rotation in your torso will create power and help develop core strength – one of the most important elements to success in sport and fitness. The contra-lateral movement pattern comes as standard across the full range of Versaclimbers, though for those that prefer the traditional standard climbing pattern, it can be purchased through special order. 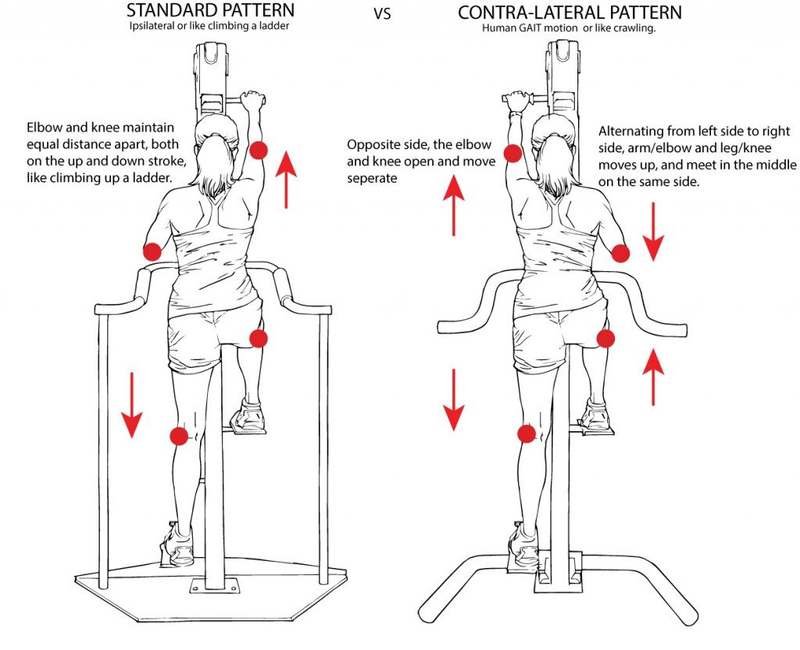 For further details on the contra-lateral movement pattern, including what will best suit your fitness regime, call 01360 550 325, email info@versaclimber.co.uk or visit our cross-crawl page.